IT WOULD have seemed too good to be true. 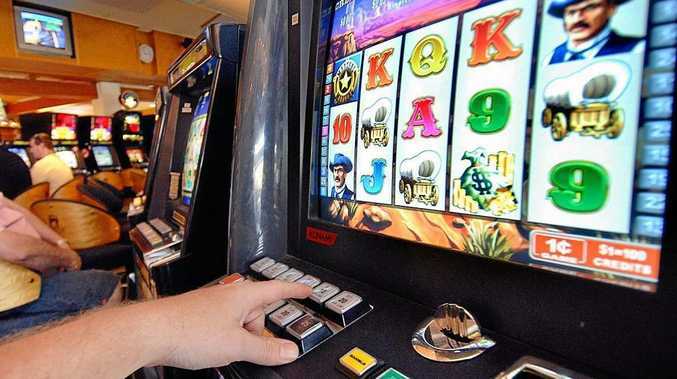 The allure of an apparently endless supply of coins at one poker machine has seen two Casino men face court. Adrian Torrens, 47, was this week sentenced for offences larceny and dishonestly obtaining property by deception over the incident last October. His co-accused, 32-year-old Thomas Whitton, is facing the same charges but his matter remains before the courts. Police had alleged the men used just $20 worth of $1 coins at a machine in Casino's Tattersalls Hotel for four hours from about 10.30am on October 11. According to court documents, the machine was down $744 after they allegedly used a pre-cut hole in its cabinet to drop money in, then catch the coins and reuse them. Police have alleged the pair worked together to put the coins inside the machine, catching them on the way into the cabinet and re-using them. It was unknown whether the men collected any winnings. Torrens had pleaded guilty to both charges against him. His solicitor Binnie O'Dwyer said while the offence posed a loss to the business, her client felt there was a "bizarre" justification for his actions. "In his mind, as a gambling addict, he's lost thousands of dollars," Ms O'Dwyer said. "He says he didn't realise how bad his addiction was until this all transpired. "He says he was embarrassed about it, he apologised to the owner of the pub." She asked Magistrate David Heilpern to consider imposing a community corrections order. Mr Heilpern imposed a CCO for 12 months and ordered Mr Torrens to repay half of the $744 sum sought by the hotel. Mr Heilpern said there had clearly been a "gaping flaw" in the machine's security and said the "level of criminality" was somewhat mitigated "when the temptation is so great". "Obviously when I grew up and no doubt when you grew up there was no poker machines in the pubs," Mr Heilpern said. "It's an irony that where gambling takes place... is also a place that sells alcohol which is designed to lower your inhibitions. "I think we all read with shock and horror the amount that's put through those machines, the amount that's lost." Mr Whitton's allegations will return to Casino Local Court on June 5. It's unclear how the hole in the machine's cabinet was created, but it's not alleged Torrens or Mr Whitton created it.